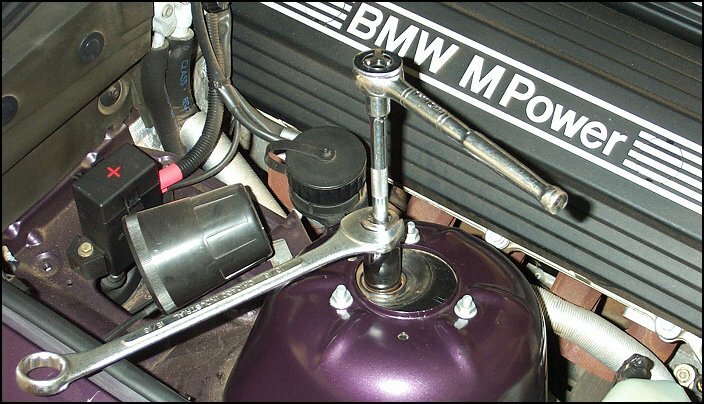 Removal and installation of the top nut on the front struts of an E36 M3 requires a special (expensive) BMW tool. 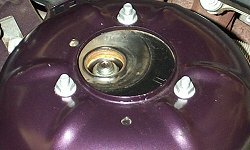 The nut is recessed down inside the bearing plate and cannot be accessed with a regular wrench. 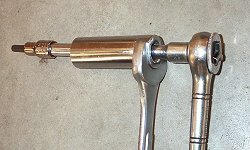 A 22mm deep socket can be used to access the nut, but when turning the nut with the socket the strut shaft will also turn if it is not held in place. 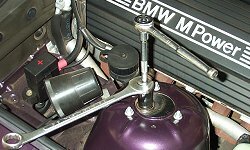 A slight modification to a 22mm socket in combination with some other common tools will allow you to complete this task without the special BMW tool. 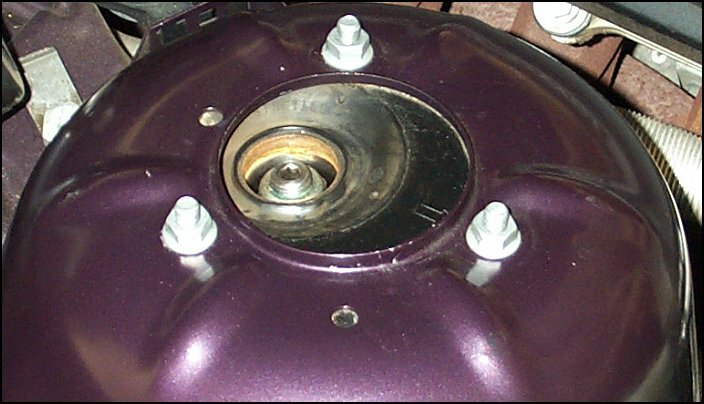 As you can see in this photo, the top nut of the strut is recessed down inside the bearing plate making it impossible to access with a regular wrench. 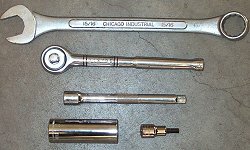 The tools used to remove the top nut: 22mm 1/2" drive deep socket (modified), 15/16 open end wrench, 3/8" drive ratchet, 3/8" drive 6mm allen key socket, and a 3/8" drive extension. 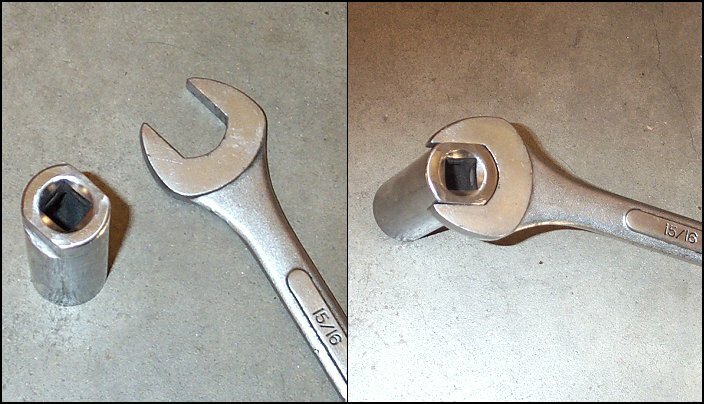 The 22mm socket must be modifed so that the 15/16" open end wrench can fit around the base of the socket. 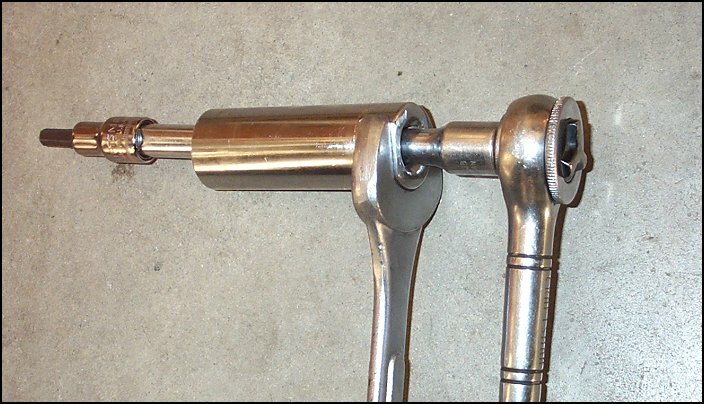 Two flat spots are ground down on each side of the base of the socket until the wrench fits snug onto the socket. 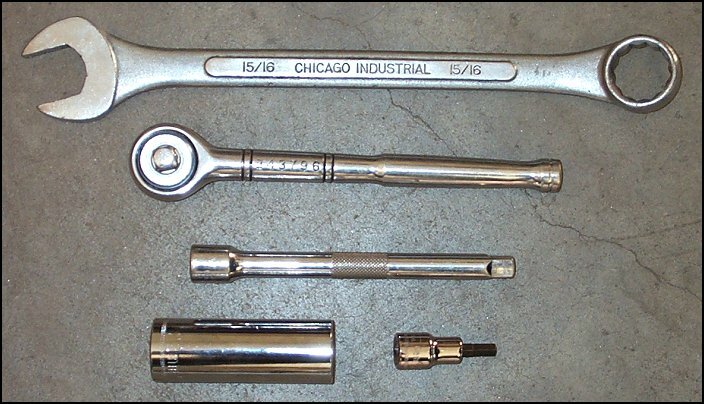 The 3/8" drive extension is slid through the 1/2" drive opening in the 22mm socket, and the 6mm allen key socket and ratchet are then attached to the extension as shown in the photo. 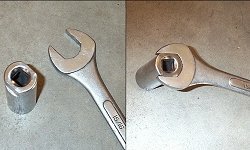 The 15/16" wrench and 22mm socket combination can now turn the top nut while the ratchet, extension, and 6mm allen key socket keep the strut shaft from turning.